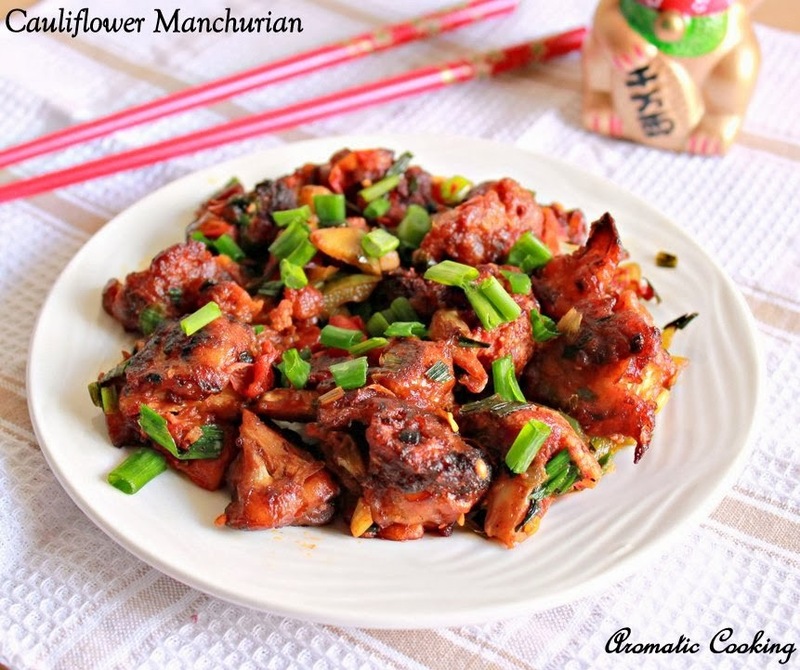 Cauliflower Manchurian, I have made this so many times but today only I got a chance to post it in my blog. 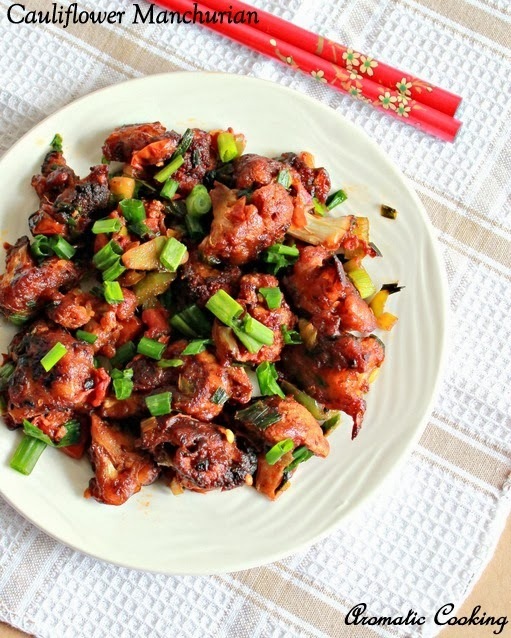 I had seen this recipe so many years back and I have always made it this way. 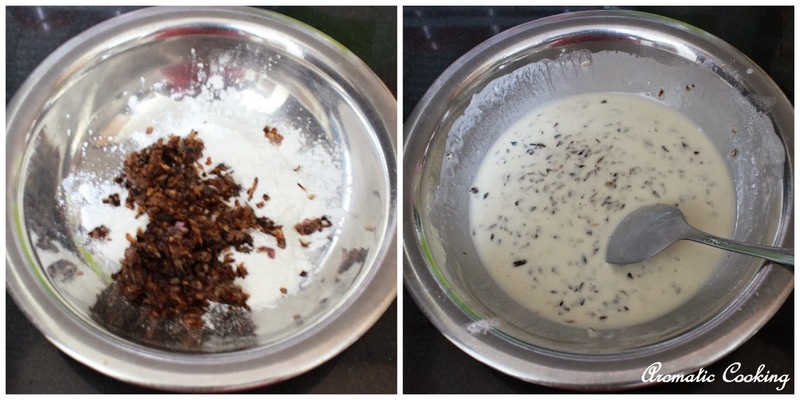 This is a semi-dry dish that goes very well with any pilaf, fried rice or even with naans and rotis. Whenever I make it, we always have it with some light pilaf, dal and raitha for lunch and with rotis for dinner but it can also be served as a starter or appetizer too.. Break the cauliflower into small florets, put them in hot water along with some salt, leave for 3 to 5 minutes, remove and keep. 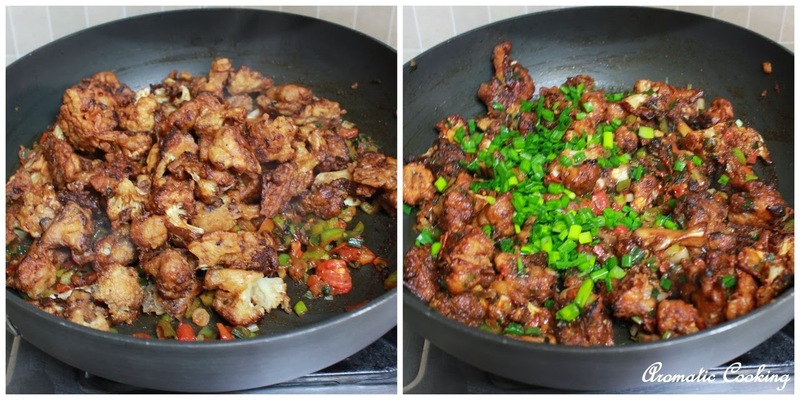 Take the soy sauce, salt, grated ginger and garlic and 1/4 teaspoon pepper powder, add the cauliflower pieces, mix and leave for 15 to 20 minutes. 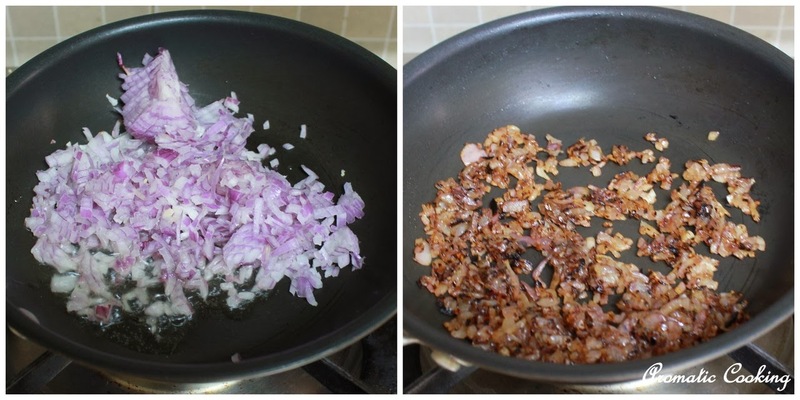 Saute the chopped onions in a little oil till they turn brown in color. Take the all purpose flour, corn flour, little salt, sauteed onions and mix it with a little water, like a thick pancake batter. 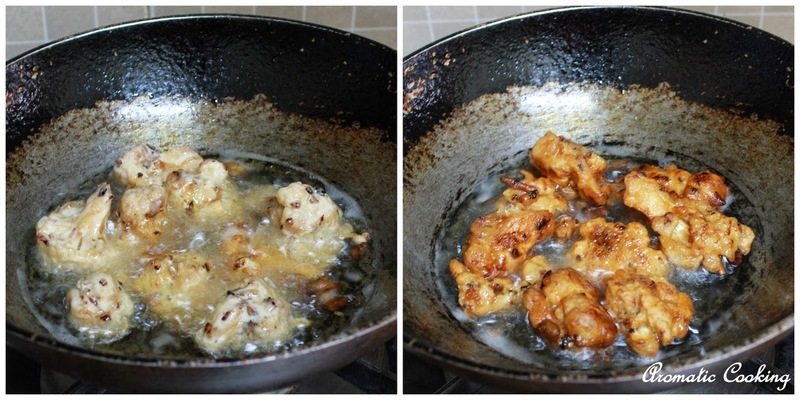 Heat some oil for deep frying, dip the marinated cauliflower pieces in the batter, deep fry it, drain the extra oil and keep. 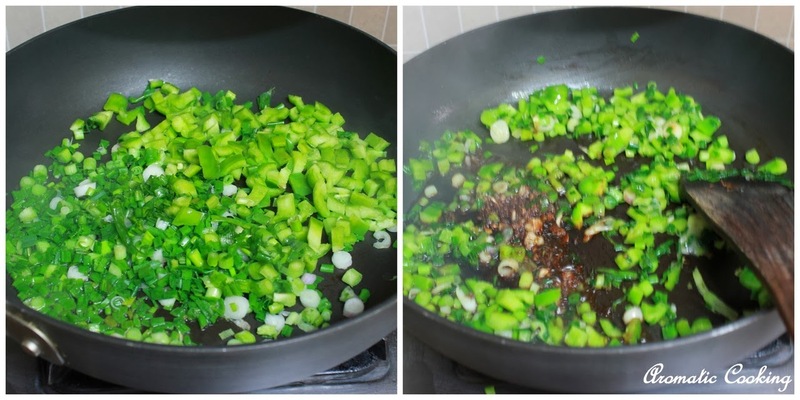 Heat some oil, add the chopped spring onions ( reserving a little, green part only for garnishing ) and capsicum, saute for 2 to 3 minutes, then add the leftover liquid used for marinating the cauliflower and mix for half a minute. Now add the chopped tomatoes and keep mixing till the tomatoes start to break down, then add the chilly powder and the remaining pepper powder and saute for 1 to 2 minutes. 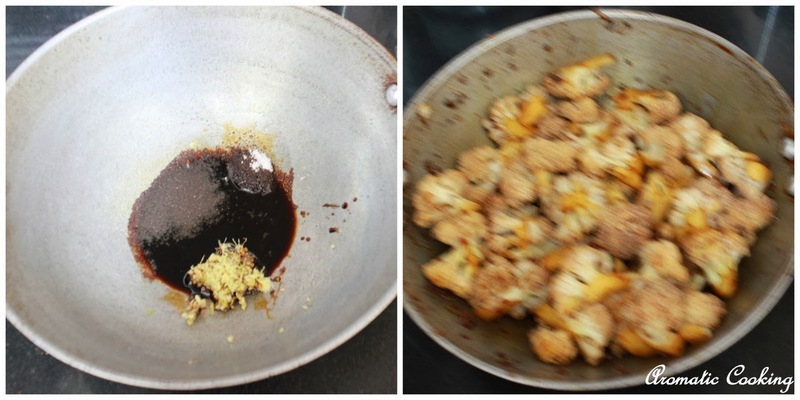 Add the fried cauliflower pieces, mix well and garnish with reserved spring onions. 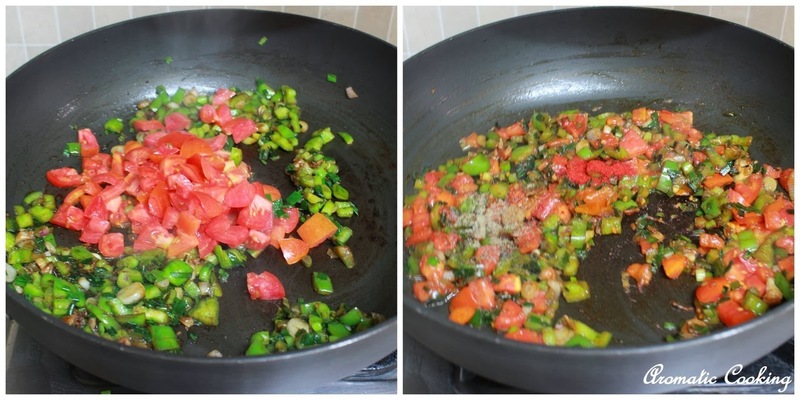 Usually tomatoes are not added, but I do it this way, if you don't want to use tomatoes, add a little more spring onions or regular onions and another half capsicum and add a little more soy sauce ( 1 to teaspoons). The soy sauce has a lot of salt, so add salt accordingly. omg thats an fantastic dish and looks awesome !! My favourite! This looks so delicious. 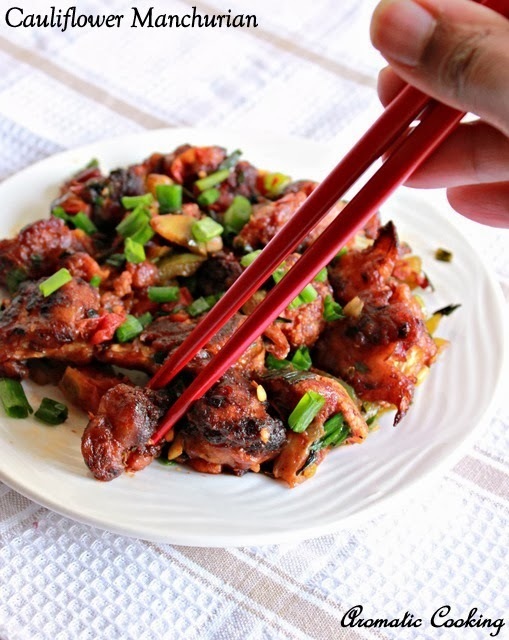 wow thats a mouthwatering manchu :) looks very inviting and tempting me !! looks yum and nice side for fried rice. Super tempting ........ Mouthwatering pics!! woww looks soo yumm hema,perfect for fried rice! !